A summer visitor to Britain, this small, shy member of the thrush family is mainly to be seen on heath and in deciduous woodland. Redstarts generally arrivein Britain in April or May and leave in early October. 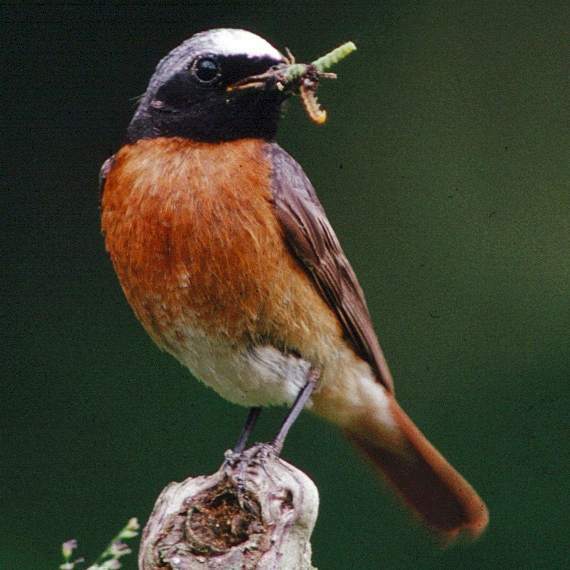 The picture shows a male Redstart with insects that it has caught in springtime. The female is pale brown without the rusty breast and the black face and throat. 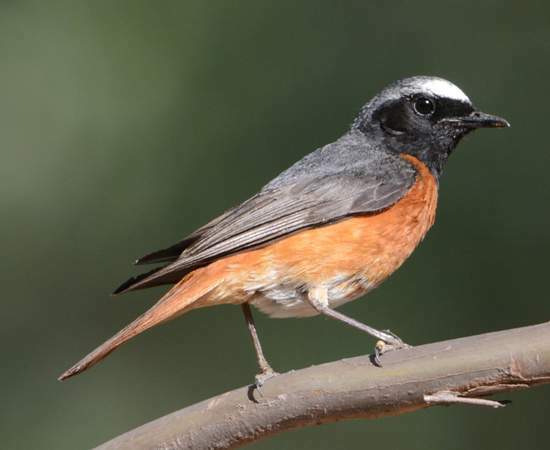 Nesting chiefly in holes in trees, dry stone walls or barns, redstarts usually produce five or six offspring. The nests are lined with grass, moss, hair and feathers.